The Sunset Dance Academy offers both classes and dance company opportunities for all ages and skill levels. Our affordable and inviting classes offer professional instruction in all styles of dance, and help guide the way for students to have fun, gain confidence, learn social skills, and expand their creativity. Ballet levels are determined by age or invitation. In this class, tots will be guided through dance and creative movement/play with a parental figure. Tots need dance attire, adults need comfortable clothing. Tiny Toes and Pre-Ballet classes introduce simple ballet movements and terminology through fun music, choreography, and props. Pre-Ballet 2 prepares four- to six-year-old dancers for Beginning Ballet. Learn the fundamentals of classical ballet. Classes will focus on technique, proper body alignment, coordination, and rhythm. Students will be introduced to barre, center work combinations, and routines. Allegro*: Dancers 4-7 by invitation only, who have mastered their age appropriate level requirements. Students will learn dance styles at a quicker (allegro) pace, and will study multiple styles of dance. Ballet 1: Dancers who progress to more advanced barre and centre combinations, choreography, and terminology. Ballet 2*: Dancers aged 9+ who have mastered the requirements for Ballet 1 progress to a more advanced barre and centre combinations, choreography, and terminology. *Instructor approval needed for Allegro and Ballet 2. Combo classes give dancers an introduction to different dance styles each week. Please note that both types of shoes are required for these classes. For example, if the class is Ballet/Jazz, the dancer needs both ballet AND jazz shoes. Level 2 of combo classes are by invitation only once the child has progressed through the original combo class. Dance and gymnastics in one class! Acro will be beneficial for both art forms! Learn and perfect gymnastics skills, tumbling moves, leaps, turns and tricks. This class will also incorporate different styles of dance to complement gymnastics, including lyrical, jazz, and hip hop. All levels and experience are welcome. Hip Hop dancing emulates steps created by hip-hop culture, seen everywhere from music videos to dance teams. Lyrical is a combination of ballet techniques and fluid jazz movements. Dancers will learn to dance with emotion and connectivity in their movements. In Musical Theatre, dancers learn about famous choreographers, dances, and styles from classic and current musicals. Jazz dance introduces participants to new rhythms, steps, and movements in a fun and exciting atmosphere that will increase flexibility and strength. Tap develops coordination, rhythm, and timing. Participants learn technique with barre, centre work, and combinations. Combo classes give dancers an introduction to different dance styles each week. Please note that both types of shoes are required for these classes. For example, if the class is Ballet/Jazz, the dancer needs ballet AND jazz shoes. Level 2 of combo classes are by invitation only once the child has progressed through the original combo class. For dancers who wish to study dance more seriously, we encourage joining one of our dance companies. Sunset Dance Companies foster creativity, confidence, and communication in a friendly, no-cut environment. The Sunset Dance Companies provide participants with the opportunity to experience various disciplines of dance at a high standard of teaching. The Sunset Dance Companies perform at a variety of events throughout the year. A full-year commitment is required to participate in the Sunset Dance Companies. An Informational Meeting about the Sunset Dance Company will be held on August 5, 2018 at 5:30 pm at Sunset Community Center. The meeting is open to anyone interested in joining the Sunset Dance Company for the 2018-2019 Season. 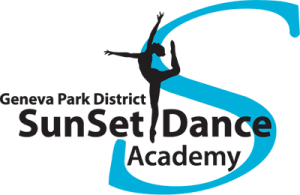 2018-2019 Sunset Dance Company Placement will take place on August 12, 2018 from 1:00 – 3:00 pm at Sunset Community Center. Placement is open to dancers ages 5 and up. All levels are welcome. Please register using registration code 3210334. Performance Company members receive an introduction to our dance company experience by participating in recitals and performances, without the intensity of competitions. All Level 1 students and above may join the Performance Company; auditions are not required. Performance Company members must take two classes per week (one technique class and one Performance Company class). 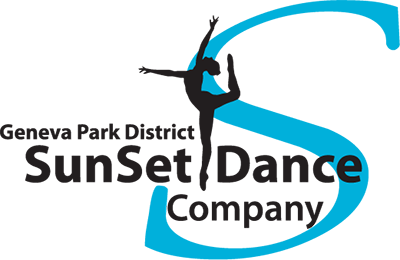 Competitive Company members study and perform at a higher level of commitment, taking three or more classes per week (two technique classes and one Competition Company class). Participants will learn in a supportive environment, and be encouraged to bring forth their best effort. Competitive Company members will compete at two competitions each season, and have the opportunity to perform at a variety of local events. Appropriate dance attire is required for all dance classes. The Sunset Dance Academy holds two recitals each year — a Holiday Showcase and a Spring Recital. Costume fees for these recitals are included in dance class fees. Recitals are held in the Geneva High School Auditorium.